These walnuts from Chile are very delicious with a unique taste with amazing health benefits. 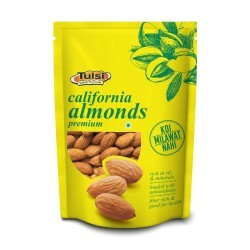 100% Natural & best Walnuts from the house of Tulsi. Supreme quality, amazing taste, soft in chewing. Walnuts have Vitamin E and omega-3 fats. 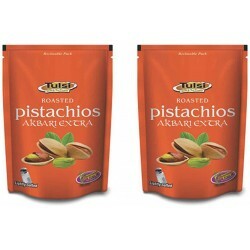 Tulsi Walnut Inshell Extra Select are soured from Chile and are very delicious with a unique in taste with amazing health benefits.Walnuts are actually the fruit of trees from the Juglans. Walnuts is an incredibly versatile fruit. They taste great candied and placed atop cakes, baked into healthy cookies, or in banana walnut bread. Alternatively, walnuts can be an addition to savory foods, as walnut burgers, a crunchy accompaniment to chicken, or ground into a flavorful pesto. Whether you’re making breakfast, lunch, dinner, or a snack, walnuts are a great go-to choice and their versatility, walnuts are a healthy food . They are full of beneficial vitamins and minerals that promote overall health.They are an excellent source of several vitamins and minerals. These include copper, folic acid, phosphorus, manganese, and vitamin E. They are best in quality. Walnut is most often eaten on their own as a snack, they can also be added to pasta, breakfast cereals, soups, and baked goods.